Yahweh's Other Shoe is at once elegiac and joyful, generous in spirit and abundant in wisdom derived from a long life lived richly and deeply, and with an abiding faith at its core. These meditations on the monastic life offer the reader a first-hand guided tour of the contemplative journey. Like Job, McDonnell is not afraid to ask the difficult questions, nor is he unwilling to face the silent mystery and stand in awe of its presence. Many of McDonnell's poems are inspired retellings of familiar Old and New Testament stories and characters-Abraham and Sarah, Isaiah, Joseph and Mary, Mary Magdalene-that breathe new life and understanding into them, allowing us to re-imagine their meanings and implications for our own lives. Take comfort in these poems, reader: the human heart is speaking. Lovers of poetry will be grateful that McDonnell has begun to express in poetic works his thoughts of Scripture, the monks, or everyday living in a monastery. McDonnell expresses his love of God with wit and irony. These poems tell what it means to be human while living on earth, waiting for God to drop the other shoe. They are a joy to read and are filled with wisdom. Find some cozy spot where you can sit and enjoy these words of wisdom. Don't get too comfortable because these poems deserve study as well as enjoyment. 'Father Kilian didn't have enough to do,' an old monk remarked when his confrere began writing poetry. With th epublication of this second collection of poems, lovers of poetry may be grateful that Father Kilian McDonnell has found gainful employment as a poet. His work is engaging regardless of where it is centered: in Scripture, with the monastic community, or in a parking lot trying to find his car. The final section is an essay that opens with a discussion of religious experience in the work of more than a dozen poets from Plato to Robert Frost. It is in the essay that we learn more about McDonnell as a poet. He finds inspiration in the silence within the biblical/liturgical culture of the monastery, which can evoke `a host of new images and possibly a new language' related to seeking God and God's glory. The craft, wit, and belief of these poems are, perhaps, an unexpected combination, in these purportedly secular times. Their faith is anything but Fundamentalist, and even flirts with heterodoxy-but carries a weight of certainty nonetheless. One must wish Father McDonnell a long life of devotion and writing. Father McDonnell often packs more exegesis and more holy imagination in two minutes of poetry than I hear in thirty minutes of a sermon. Yahweh's Other Shoe has a woman in it! In fact, several, spanning the period of stories from Deborah to Mary and making Eve real as garlic and leeks. But the heart of the book is always Yahweh. In this book, its language, its questioning, its passion, its sass, its wit, its irony, the poet can't disguise his love for his `absent' God. And if God is half the mensch the poet makes Him out to be, He's going to laugh with joy at the soul in this work. 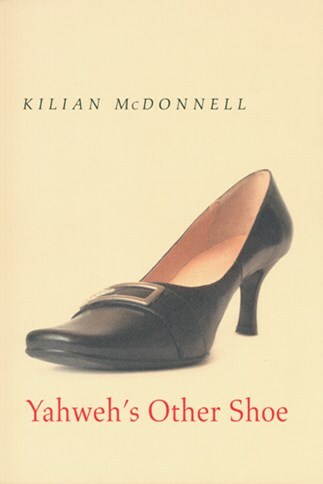 Preachers need to know the wonderful biblical poetry of theologian/monk Kilian McDonnell. His poems, based on careful exegesis, may be considered preaching in another key. These poems have powerful simplicity, depth, and are not only an honest response to biblical texts, they open imaginative possibilities for preaching. McDonnell does not write pious verse, but confronts God. He addresses trouble and grace buried in the text, like Jacob wrestling through the night with God. Kilian McDonnell's faith wrestling, deep compassion and sense of humour shout from every page.